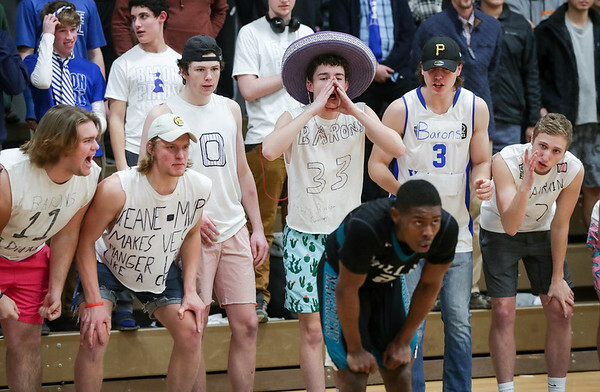 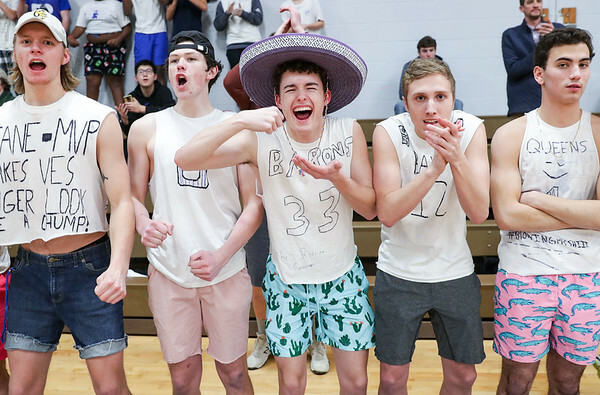 PHOTO/ANDREW SHURTLEFF Blue Ridge School students get loud during the game Wednesday night at the Blue Ridge School. 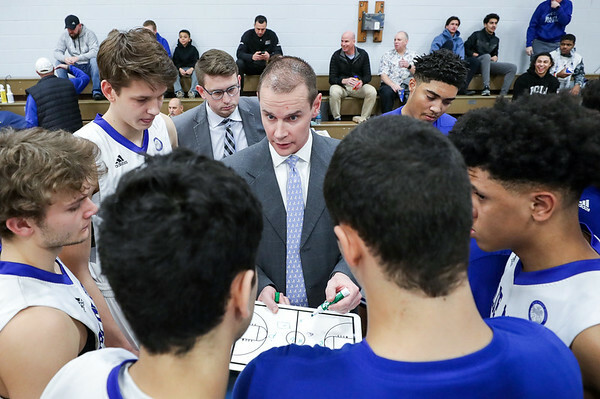 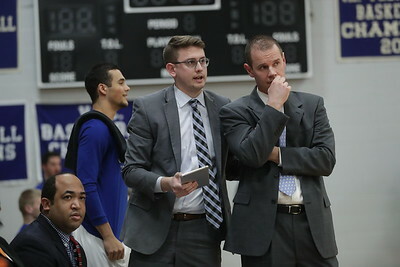 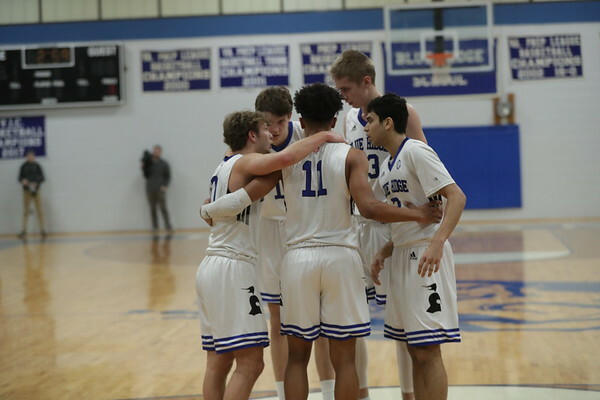 PHOTO/ANDREW SHURTLEFF Blue Ridge School's head coach Cade Lemcke talks with his team during the game Wednesday night at the Blue Ridge School. 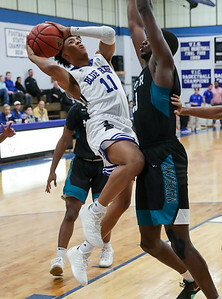 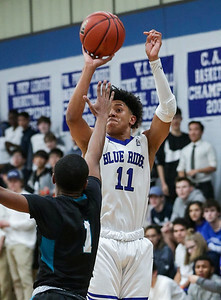 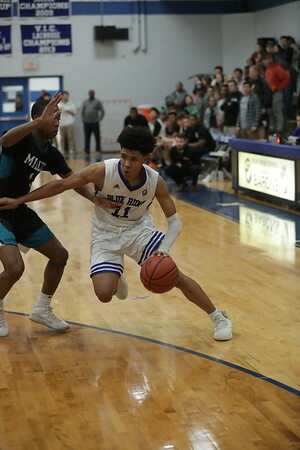 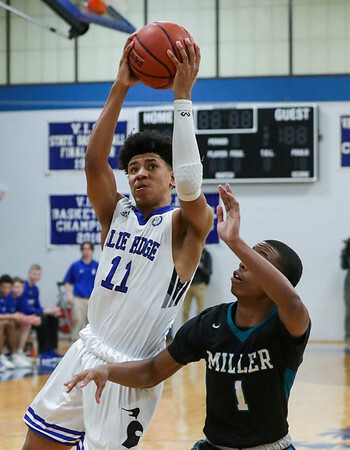 PHOTO/ANDREW SHURTLEFF Blue Ridge School's guard Michael Gray (11) shoots over Miller School's Quadir Pettaway (1) during the game Wednesday night at the Blue Ridge School. 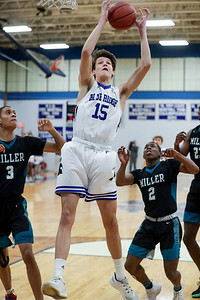 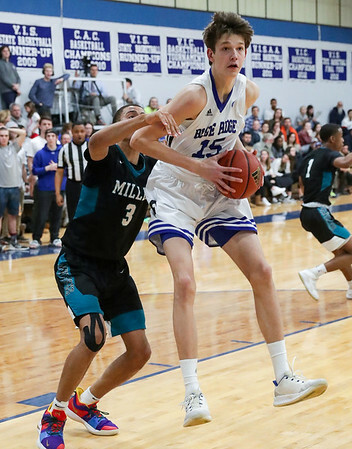 PHOTO/ANDREW SHURTLEFF Blue Ridge School's forward Houston Emory (15) grabs a rebound next to Miller School defenders during the game Wednesday night at the Blue Ridge School. 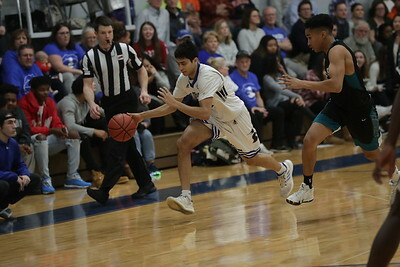 PHOTO/ANDREW SHURTLEFF Blue Ridge School's guard Michael Gray (11) shoots next to Miller School's Tariq Balogun (23) during the game Wednesday night at the Blue Ridge School. 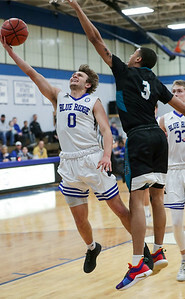 PHOTO/ANDREW SHURTLEFF Blue Ridge School's guard Chris Rogers (0) shoots next to Miller School's Daryl Anderson (3) during the game Wednesday night at the Blue Ridge School. 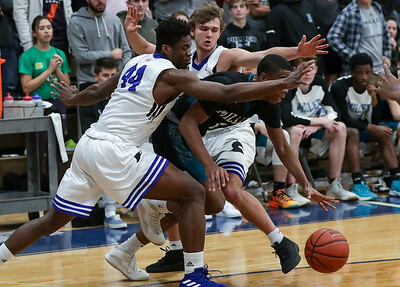 PHOTO/ANDREW SHURTLEFF Blue Ridge School's forward Andrew Nwaoko (44) and Blue Ridge School's guard Chris Rogers (0) puts pressure on Miller School's Quadir Pettaway (1) during the game Wednesday night at the Blue Ridge School. 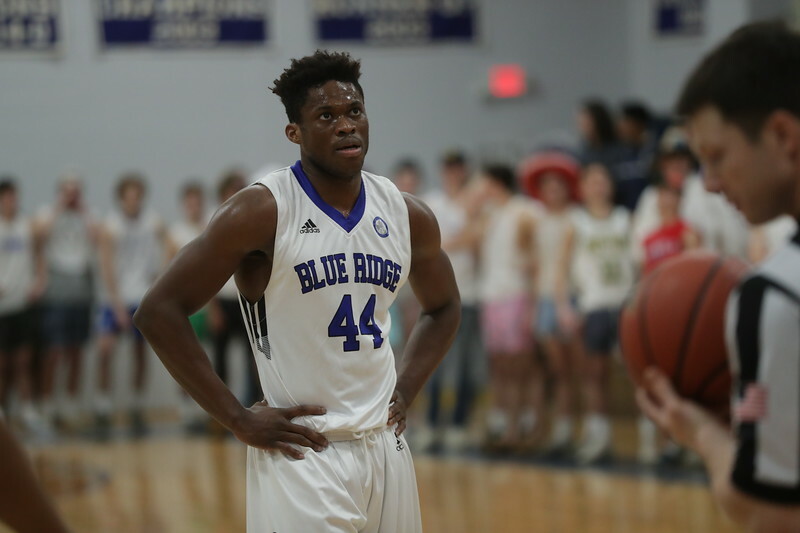 PHOTO/ANDREW SHURTLEFF Blue Ridge School students heckle Miller School's Jordon Brown (2) during the game Wednesday night at the Blue Ridge School. 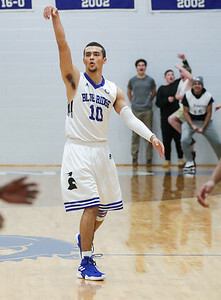 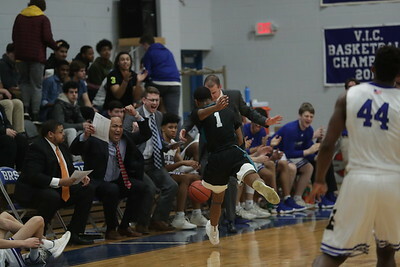 PHOTO/ANDREW SHURTLEFF Blue Ridge School's guard Ernesto Torres (10) celebrates a 3-pint basket during the game Wednesday night at the Blue Ridge School. 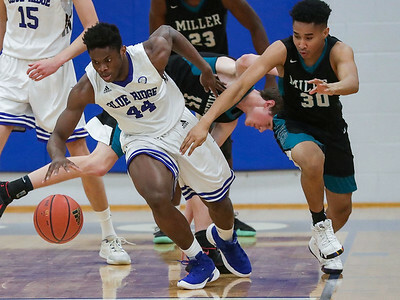 PHOTO/ANDREW SHURTLEFF Blue Ridge School's forward Andrew Nwaoko (44) goes after the loose ball with Miller School's John St.Germain (30) during the game Wednesday night at the Blue Ridge School. 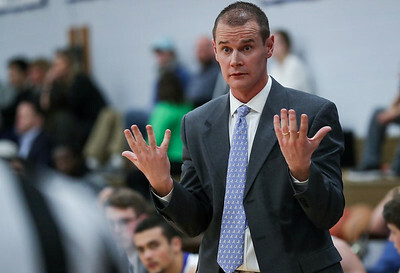 PHOTO/ANDREW SHURTLEFF Blue Ridge School's head coach Cade Lemcke reacts to a call during the game Wednesday night at the Blue Ridge School. 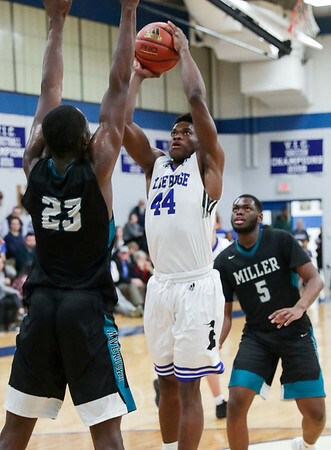 PHOTO/ANDREW SHURTLEFF Blue Ridge School's forward Andrew Nwaoko (44) shoots between Miller School's Tariq Balogun (23) and Miller School's Dae Dae Heard (5) during the game Wednesday night at the Blue Ridge School. 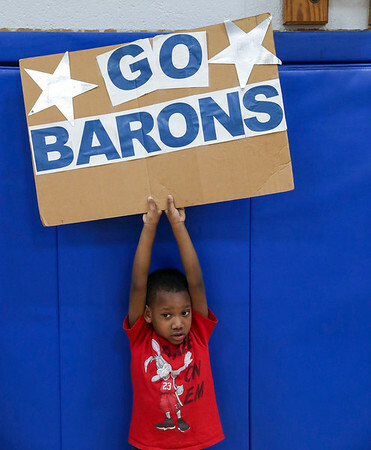 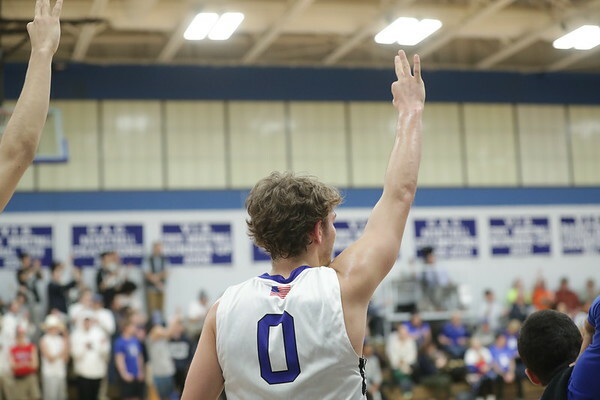 ANDREWPHOTO/ANDREW SHURTLEFF A Blue Ridge School fans holds up a sign during the game Wednesday night at the Blue Ridge School. 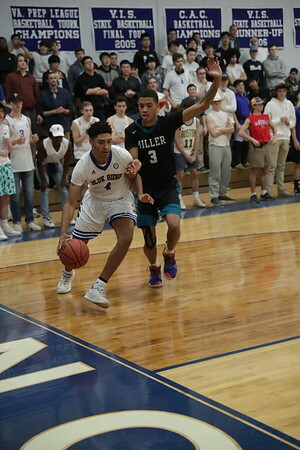 PHOTO/ANDREW SHURTLEFF Blue Ridge School's forward Houston Emory (15) grans a rebound next to Miller School's Daryl Anderson (3) during the game Wednesday night at the Blue Ridge School.